In this episode I talk about a few landscape quilting techniques and how I avoid "wrestling" with my larger quilts when machine quilting them. 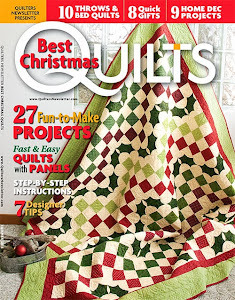 I also give a magazine review of 101 Patchwork Projects + Quilts, and a book review of Clara and Mr. Tiffany by Susan Vreeland. Listen all the way to the end for details on a book giveaway. I forget to mention that I am also including 3 "Tiffany-inspired" fat quarters from my stash with this giveaway so check my blog for a picture. Leave a comment in the show notes of this episode by 4/30/11 to be eligible to win! 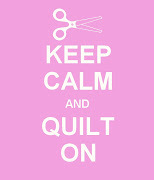 http://craftygardenmom.blogspot.com Email me at: taneshaquilts@yahoo.com As always, thanks so much for listening! I DO NOT PREWASH PRE CUTS. IT DISTORTS THE FABRIC. I assemble the quilt, quilt it, bind it then wash before I use the quilt or give it away. I always wash baby quilts so the momma/ child can use it right away. I put a letter into the gift box tell the mom how to take care of the quilt and that the first wash is taken care of . Color Catchers take care of any dye issues. Love the podcast. Love the book reviews. Love your art crafting tips... I am a traditional quilter who wants to do "art" quilters. I like the idea of the fabric scraps in the bird nests. My only concern is my grandson might get a little "crazy" and want to put out all my scraps. As for the prices of magazines... I usually buy mine at the craft table at the guild... my philosophy is that patterns are ageless ( or should be) The articles vary as timeless and timed by character. What I mean by that statement as some of the articles have information that can be used Yesterday, Today and Tomorrow. Other articles are about topics / information that will out-date shortly. So why do I want to spend a lot of money on it. Advertisement gets torn out and dumped unless they have important information on the back. Patterns I like get torn out and filed into binders in sleeves. Buying cheap makes this easy to do. I have several binders that house information I want available. Being older I had a huge magazine collection that I reduced to much smaller storage area. WORKS FOR ME. Nonnie, thanks as always for listening and your input on prewashing precuts..I will definitely not be washing mine. I agree on the magazine articles. I'm not a current member of my guild as they only meet on Monday afternoons which isn't great for us working moms. But my "new" rule about not buying a magazine unless there are at least 3-4 patterns I might make in it have helped cut that expense WAY WAY down for me. I'm really enjoying your podcast too, and love your insight/tips.